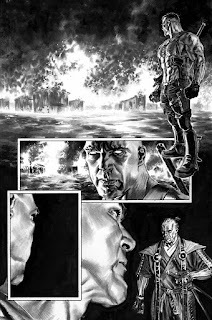 Bloodshot Reborn #11 is the second chapter of The Analog Man from Jeff Lemire and Lewis LaRosa and it's going to be a doozy. 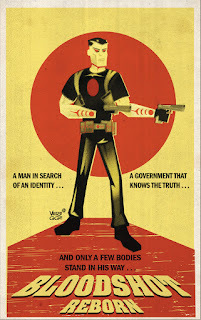 Presented in the deluxe, ad-free VALIANT PRESTIGE format with laminate card-stock covers, heavyweight end sheets, and exclusive, never-before-seen backmatter, the biggest storyline of 2016 doubles down this February as Bloodshot bulldozes his way through the ravaged remains of the Valiant Universe. 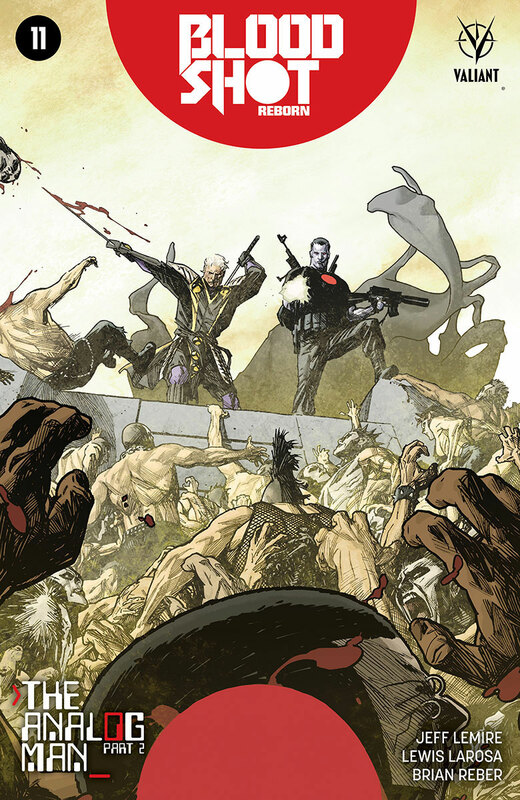 Bloodshot has a way of getting his way and Bloodshot Reborn #11 is no exception. 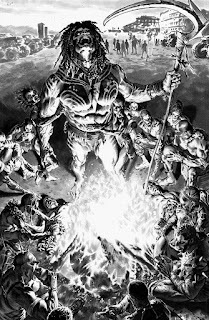 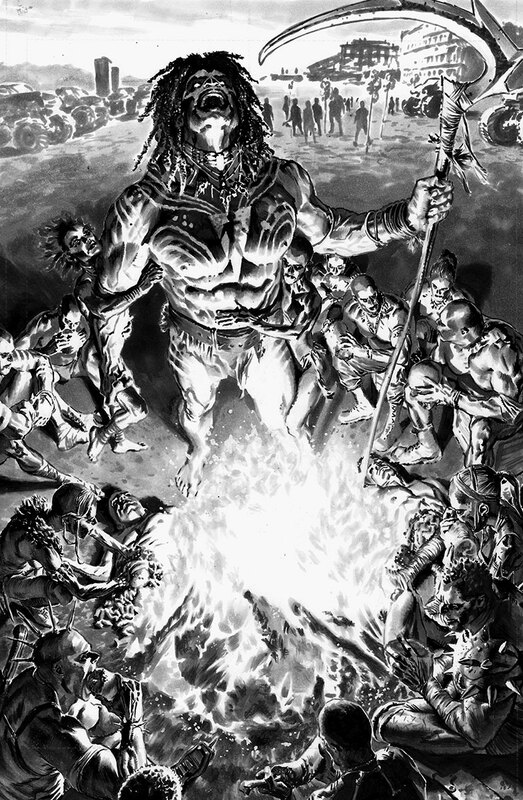 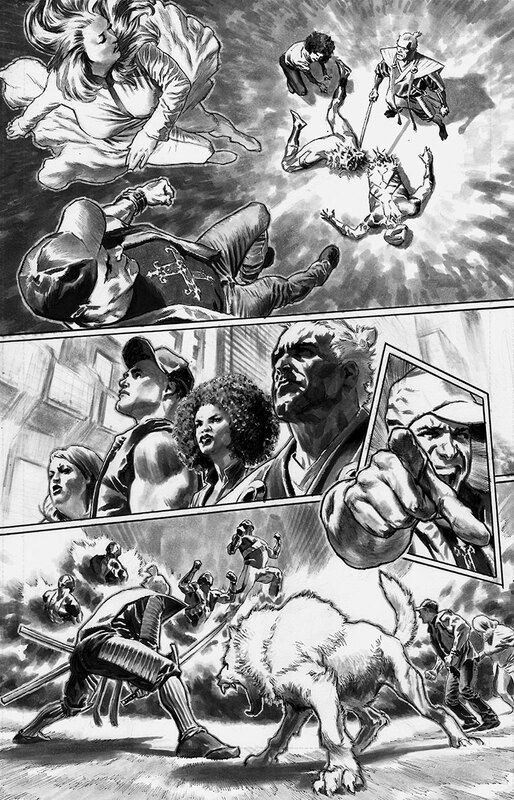 Far into a post-apocalyptic future, Los Angeles has descended into chaos…and even the remaining heroes of the Valiant Universe can’t stand against the G.A.T.E. 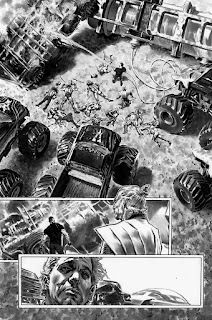 super-tech that now dominates the wastelands. As Bloodshot and his longtime love Magic emerge from their desert refuge with a small group of survivors in tow, an unexpected acquaintance from the past returns, seeking help and forcing Bloodshot to either turn his back on his friends…or his family! 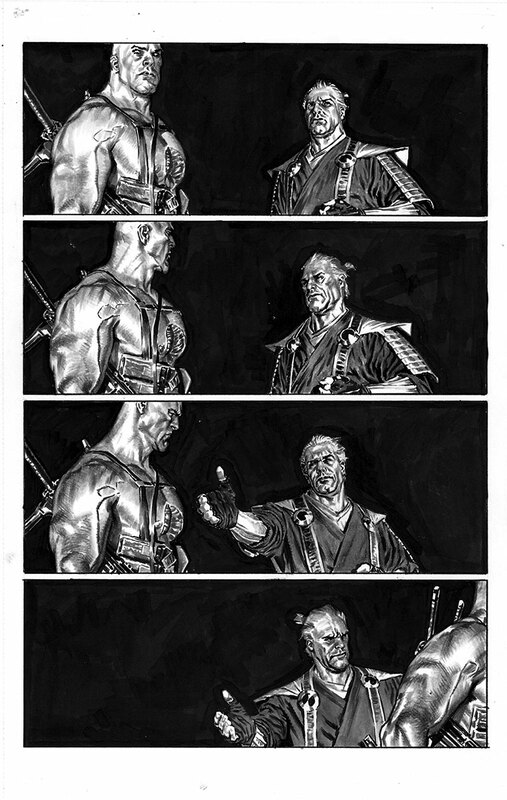 But is the master assassin once called Ninjak truly a friend… or a foe lying in wait? Ninjak in BLOODSHOT REBORN #11 – Coming in February! 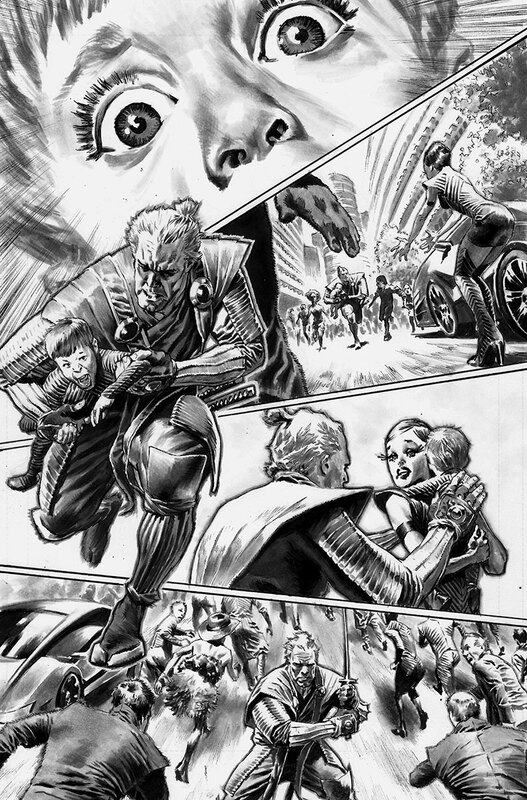 Valiant is proud to present your first look inside BLOODSHOT REBORN #11 – the second earth-scorching chapter of “THE ANALOG MAN” from New York Times best-selling writer Jeff Lemire (Extraordinary X-Men) and blockbuster artist Lewis LaRosa (Punisher)! Presented in the deluxe, ad-free VALIANT PRESTIGE format with laminate card-stock covers, heavyweight end sheets, and exclusive, never-before-seen backmatter, the biggest storyline of 2016 doubles down this February as Bloodshot bulldozes his way through the ravaged remains of the Valiant Universe! 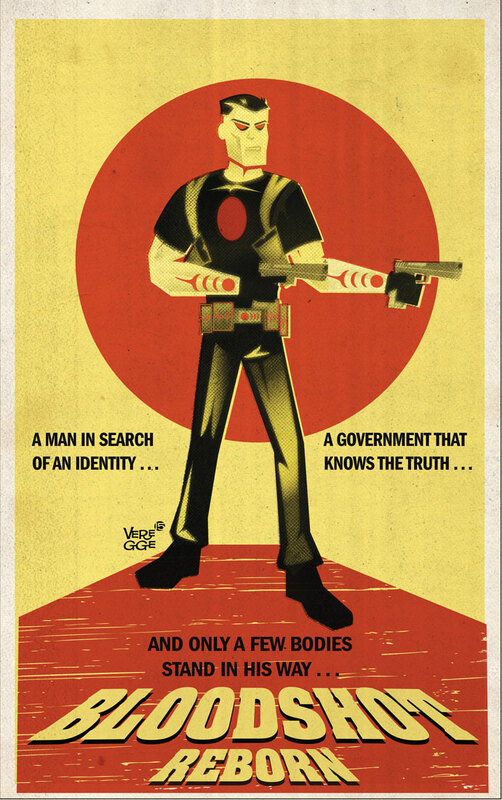 This February, brace yourself for "THE ANALOG MAN"’s most blistering installment yet as Lemire and LaRosa forge a white-hot vision of Valiant's biggest heroes with hyper-detailed artwork unlike anything else on the shelves today! 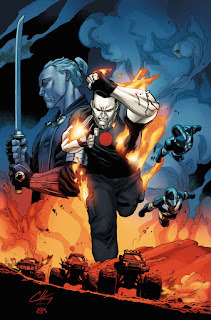 Featuring covers by Ryan Sook (Wednesday Comics), Clayton Henry (HARBINGER WARS), Jeffrey Veregge (Red Wolf), Tula Lotay (The Wicked + The Divine), and Brian Level (The Mantle), BLOODSHOT REBORN #11 must be seen to be believed! Plus: Also in stores in February, relive "THE ANALOG MAN"'s exhaust-soaked opening salvo with the BLOODSHOT REBORN: THE ANALOG MAN – DIRECTOR’S CUT #1! 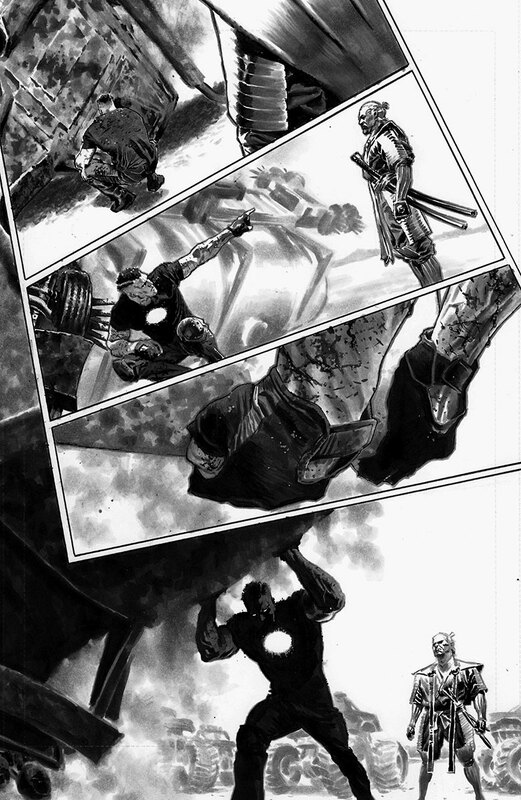 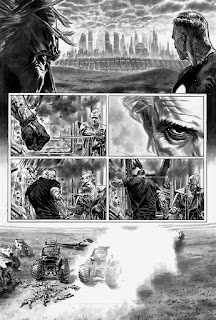 For the very first time, go behind the scenes with this special 48-page “director’s cut” of BLOODSHOT REBORN #10, showcasing Lewis LaRosa’s raw pencil-and-ink artwork and Jeff Lemire’s complete script in their unexpurgated glory! 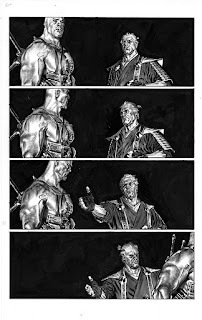 Stripped down to pencils, inks and letters alone, Valiant's must-read storyline kicks into overdrive here with a bonus presentation of “THE ANALOG MAN“’s bare-knuckled first chapter!